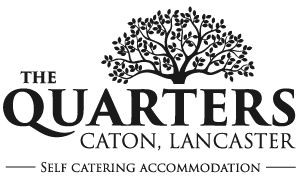 We want everyone to enjoy The Quarters, that’s why we offer a simple, fair, pricing structure. We never have, and never will put our rates up during school holidays, and bookings during our summer season only see a small increase in price. The first day of your booking can be any day, and not just a weekend to weekend. We’ve broken these prices down for you below. If you would like to book, or discuss further please ring Ray or Sue on 01524 770725, or send us an email on the bookings page. £90 for one night, £160 for two nights, then a sliding scale down to £400 a week. £100 for one night, £165 for two nights, then a sliding scale down to £450 a week. Payment: We take payment via BACS (bank transfer); and Cheques from UK bank accounts. We require a 20% deposit to secure your booking.